It was a pleasure to use Breen Driving School for my Essential Driver Training and Pre-Test Assessment Training. Thanks again Michael. I would like to take this opportunity to say that the quality of service offered by Michael, of Breen Driving School was highly impressive. Every aspect of your service has been beyond reproach. I just wanted to send a note to say that I am continually impressed by the excellent service that Breen Driving School provides. The few times I have requested support from Michael it has been both effortless and efficient. It makes a pleasant change to deal with a company that takes pride in providing a first class service. I have no problem at all recommending Michael. Keep up the good work and thanks for all your help. I’ve been really, really impressed with the level of customer service Breen School of Motoring has provided to date. Please pass my thanks to Michael. You’ve made me a loyal customer and I will certainly recommend you to others. We want to take a moment to say thank you to the people who took the time to write the driving school testimonials for us and for saying such great things. 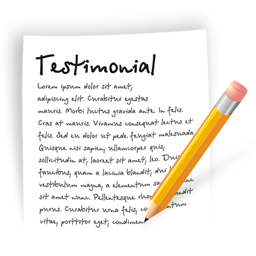 “ I just wanted to send a note to say that I am continually impressed by the excellent service that Breen Driving School provides. The few times I have requested support from Michael it has been both effortless and efficient. It makes a pleasant change to deal with a company that takes pride in providing a first class service. I have no problem at all recommending Michael. Keep up the good work and thanks for all your help.